I love going through old houses. Even if they seem empty there is always some little treasure somewhere. That depends of course on how you define «treasure», haha. For me its just something old, thats been lying around for years and years and nobody touched it. 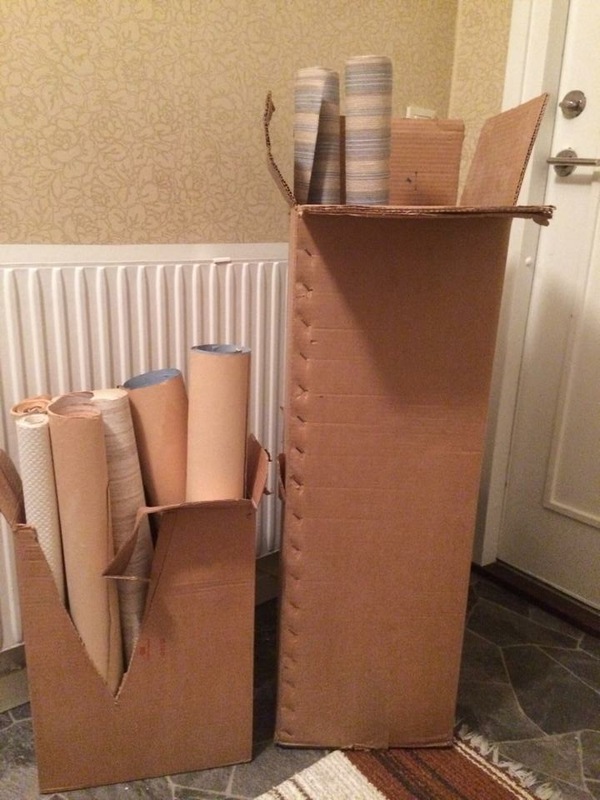 So you can imagine how happy I was to save these things from the house we are renovating at work! The house was build in 1910.. Old wallpaper leftovers 🙂 These are probably from, say, the 1920s to 1960s. Teak chair! Just going to freshen up the teak and clean the cushions and it is good to go! This is from the 50s (LOVE IT) and made in Norway (love it even more). 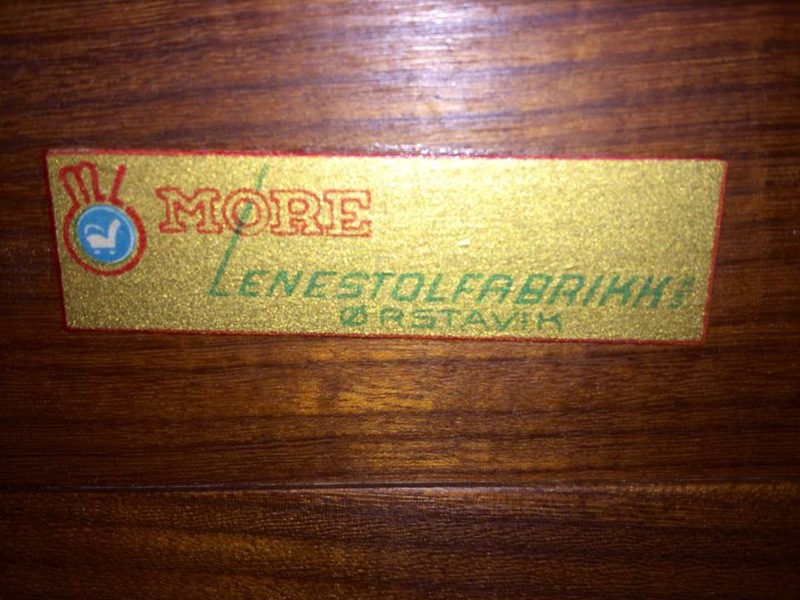 Sticker underneath the chair that says «Møre Lenestolfabrikk AS» and «Ørstavik». Its the name of the producer and the name of the city its made in. I tried to google it to find more information about the chair, but I didn’t have any luck. 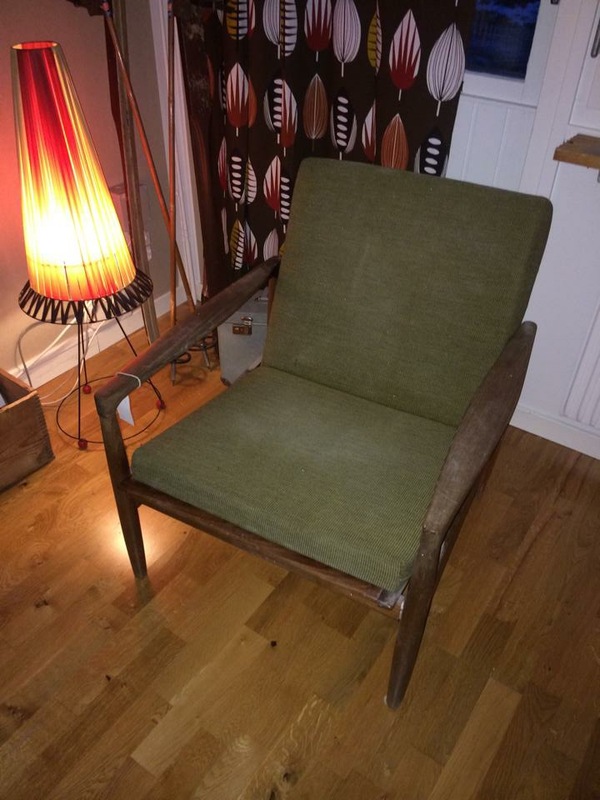 I got hits from similar chairs from the same producer but I would really love to have info about this chair in particular.